During the MCM Comic-con Event back on the 25th – 27th of May, Anime Limited brought over their Anime Guest of Honour, Shouji Gatou, to talk about and promote Full Metal Panic! Invisible Victory – the latest series in the franchise after 13 years. Shouji Gatou is known for writing the original novels for Full Metal Panic!, Amagi Brilliant Park, and for working on the screenplay for Hyouka, amongst others. I was given the great honour to sit down with Gatou-san and have a chat about all things Full Metal Panic!, as well as a bit of his other works, Amagi Brilliant Park and Hyouka. First of all, thank you for seeing me today. It’s a great honour to meet with you today. With more than a decade passed since the The Second Raid had aired, some had lost hope that we’d see Full Metal Panic! Again, how does it feel to have it back on TV after so long? Gatou: I thought I’d never get to see it again as well! Of course, it’s been such a long time since we got to see it now, it would feel that way. What do you feel has kept the show going for so long, that brought it back? Gatou: The novel on which it’s based was brought to its conclusion back in 2010, and until it was finished, it was really hard to make another series. And we had talked about making another series, but for one reason or another, it just got later and later and kept getting put off. What was it that brought it back in the end? When was it you all finally came together to create Invisible Victory this time round; when did you finally set this up? Gatou: It was 2015 when we got it off the ground with Xebec. I was busy with another title from 2013-2014, which was Amagi Brilliant Park, and then it took a bit of time after that for things to come together. With Invisible Victory airing now as well, one question I have had is the novel preceding the events of Invisible Victory, Dancing Very Merry Christmas, hasn’t been animated, is this something we could potentially see in future? Gatou: We would all like to make it, but in terms of production budget, we have limited resources in terms of people and money, and so in the end, we decided to go with the audio drama because it’s not that important a story in the overall story. If it turns out to be really, really popular, then it might be a possibility. With Full Metal Panic! as a whole, when The Second Raid aired back in the day, there was a lot added onto it, and a few differences there as well, more noticeably the assassins, compared to the novels. How did all the decisions come to be to change and add to the characters for The Second Raid? Gatou: We would have decided that at our screenplay writing stage in our meetings with the producer the director and myself as the writer of the original and the screenplay, and a few of the other main staff would have discussed that and decided together. For example, the two assassins: in the novel they are male, and in the anime they are female. They aren’t really strong characters in the novel, and when we tried to render them, they came out looking a bit boring, so we decided that as they weren’t main characters it wouldn’t matter if we changed them, that they would be female and lift the tone a bit. And then, for example, Gates as the baddie was quite low-impact in the novels, so we decided to make him more extreme. One thing that is quite noticeable is how we can go from having a quite serious storyline to having those made more purely for laughs. How challenging was it to try and maintain this, more so for the anime as I realise the novels were separate, there were side-story novels as well as the main story novels? Gatou: We didn’t really struggle with getting that balance right, because we did kind of separate them with Fumoffu and TSR. What was your original inspiration for Full Metal Panic!, what was it that brought you to create the series? I think initially I wanted to write a story about an international rescue force, like Thunderbirds, but [that] featured robots. And then I came up with a plot based on an actual hijacking incident that happened in Uganda, and then I added on bits and pieces and this is how it’s ended up. I didn’t initially picture it being a high school drama. And did you just add it in (the high school setting) last minute or did you feel it just fell into place with it? Gatou: I added that into it afterwards. I know one of the other questions a lot of people had, including myself was around Bonta-kun himself. He is quite prevalent in Full Metal Panic! 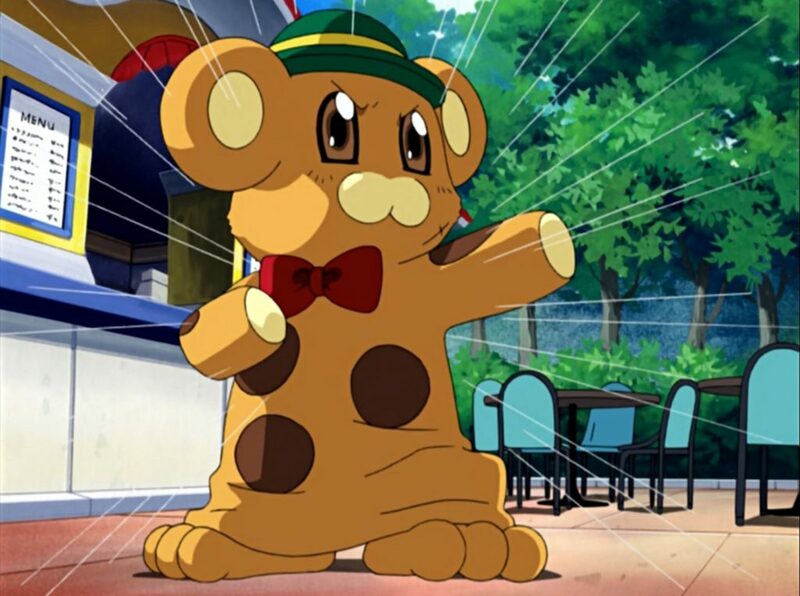 as well as Amagi Brilliant Park, where did the inspiration come from for Bonta-kun? Gatou: The origins of Bonta-kun was with a short story that I wrote for Dragon Magazine, set in a theme park and it needed a mascot character, so it was originally meant to be a character just for that story. And I thought the character would need to have a cute voice, and I was just sort of absent-mindedly making sounds and I came up with this “Fu Fu Fu, Fumoffu” sounds, and I have no idea where that came from (laughs). And you mentioned the theme park story you did with Bonta-kun; was that kind of setting a similar one you used for Amagi Brilliant Park? Is that where it came along from? Gatou: So they weren’t related to start with. Bonta-kun was there in Fumoffu and Full Metal Panic!, and then when we went onto going to Disneyland with the family, then I kind of got the idea for Amagi Brilliant Park. And then I was thinking “what should the main mascot for Amagi Brilliant Park be?” And Bonta-kun popped into my head again. I’d like to move onto Hyouka now if that’s okay. So it was one of the series you worked on when you worked with Kyoto Animation alongside a few other shows you worked on with them as well. One of the main things different with that is it being a slice-of-life as opposed to more sci-fi or fantasy, were there any particular challenges with that and were there any challenges going between sci-fi to slice-of-life? Gatou: It wasn’t a particular challenge that there was no sci-fi involved. It’s set in a Japanese high school in an ordinary Japanese town and in that regard, it was quite easy because I’ve been in that place. The challenge lay in fitting Honobu Yonezawa’s original, which is quite long, into a limited number of episodes, that was very difficult. Was there a lot that had to be cut out in that regard then, or is it something that is maybe opened up that could potentially be revisited again some time into the future? Gatou: We would have to go back and remake it if we were to use those parts that had been cut, as we really didn’t cut big chunks, it was just little bits here and there..
And finally, with adapting something like Hyouka, how do you decide what to make stand out for the show to catch the viewer’s eye, how do you decide on what requires the most focus in something like a slice-of-life show compared to something like sci-fi where it’s a lot more easier to focus on the action, for example? Thank you again for your time today Gatou-san, thank you so much. Full Metal Panic! Invisible Victory is currently airing on Crunchyroll for the UK.